eighteentwentysix is proud to be helping put this amazing show together on November 18th at the Orpheum Theater in LA. 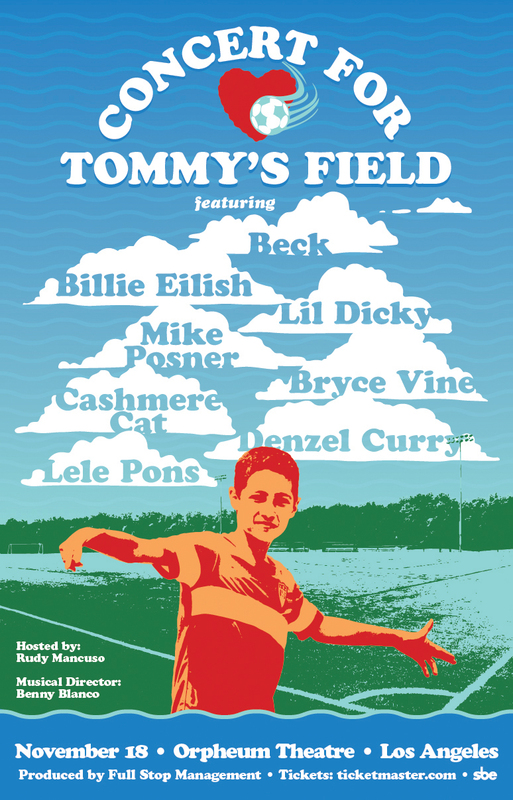 The Concert For Tommy’s Field is in honor of Tommy Mark, the late 12 year old son of entertainment lawyer Doug Mark. Tommy had died in his sleep due to heart problems in April. The show is a fundraiser for a memorial soccer field in the young athlete’s honor.